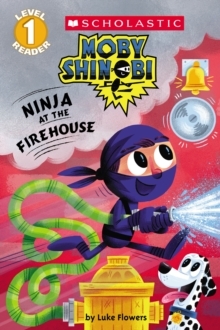 In the first book in this fun Level 1 reader series, Moby Shinobi heads to the farm! 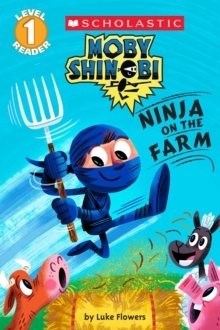 Moby tries to collect eggs, gather hay, and feed the pigs, but each try ends in a funny mess. 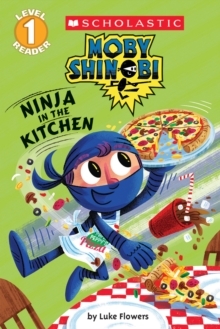 Moby wants to help Farmer Bob, but what if his ninja skills aren't right for the job? 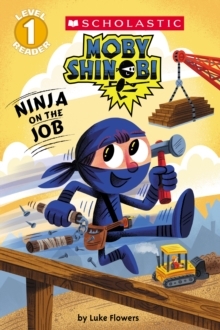 Then the cows break down the gate-can Moby use his ninja tricks to save the day before the runaway cows ruin the farm? 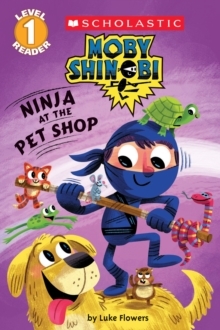 Rhyming text and energetic full-color artwork make this the perfect book for young readers!